First up was the Constantia Valley wine tasting at Black Bamboo. The valley is one of South Africa’s oldest wine regions, and home to some of the country’s best known wines. And the venue perfectly fit the wines on offer. It was my first time at Black Bamboo (has been on our list for a while), and I was not disappointed. The sculptures around the hotel and dining area are breath-taking – so much so that I really want to spend a night there (and dreams do come true – watch this space!). I really liked the fact that this wasn’t just another wine event – from my observation it was more aimed at restauranteurs investigating new options for their wine lists. So the conversations around the tables had a bit more depth, and I learned a lot from just listening to some of the conversations taking place. As the Constantia Valley is one of our oldest, the wines were definitely ballsier than your “easy -drinking-for-new-pallets” varieties. Most of the wines (the reds, at least) were full bodied and rich; a welcome change from the “We developed this Cabernet Sauvignon specifically for weaklings that need a safe space.” In all, a thoroughly enjoyable experience, and many wines that need to find their way to my wine rack. 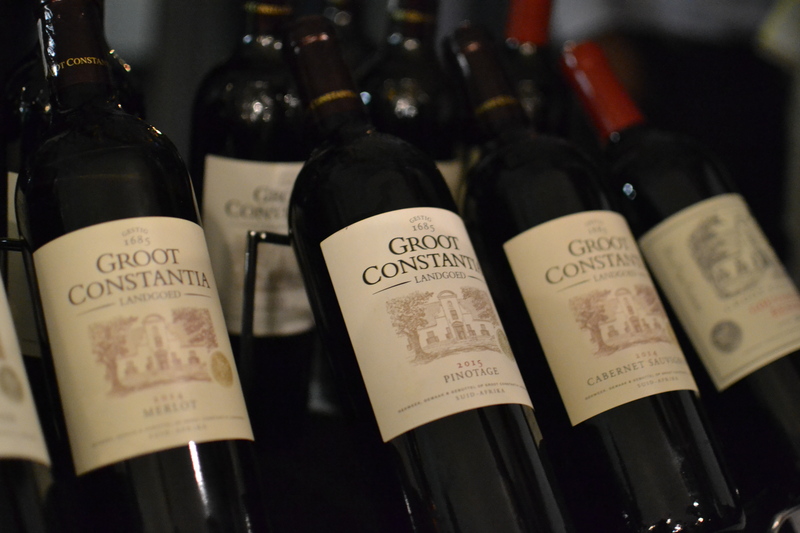 We were invited to the Constantia Wine Route tasting last week (a biiig thank you to Margot from Groot Constantia!). Again, as above – have been so excited to attend the event at Black Bamboo – this venue has been on my radar and bucket list for quite a while now. And boy, it didn’t disappoint! From the event set-up to the canapes served – a great experience! We will be back! 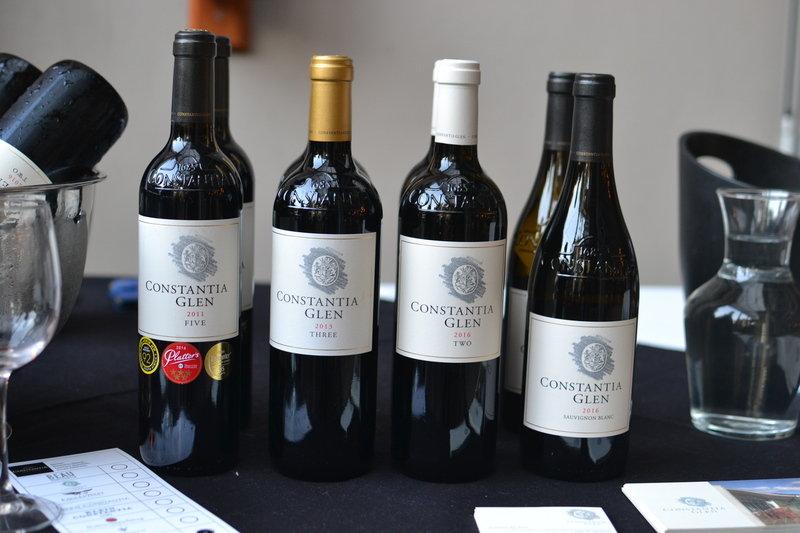 The wine farms represented were (reading it from the ‘checklist’ received): Beau Constantia, Constantia Glen, Eagle’s Nest, Groot Constantia, Klein Constantia, Buitenverwachting, Constantia Uitsig and Steenberg. 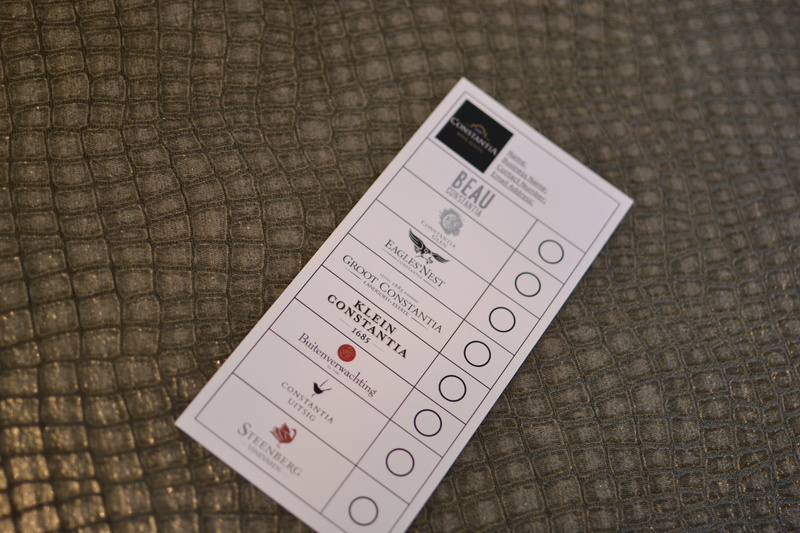 A note about this card – a clever way to make sure that everyone visits and taste a few wines from all the wine estates represented. PS: Not to be used as a ‘speed’ challenge! This wasn’t a ‘public’ tasting (if I can call it like that), it was aimed at trade, restauranteurs, etc. So it was great to see some of the ‘who’s who’ in the Pretoria restaurant scene visiting the various stalls and interacting with the wine estates and their representatives. I can honestly say that each of the wine farms had some real gems – the history and the unique terrior of the Constantia Valley definitely shone through! I started out making a list of ‘favourites’ – started out with a Top 3 list – which grew to a Top 5 list, and then got out of control! LOL! So let me rather not complicate things. In short, a great opportunity to interact and get to know the Constantia Wine Route estates, and a fantastic reminder of some old favourites, and some amazing new kids on the block as well!